If you’re like us, you’re ever on the prowl for a new pair of sunglasses to personalize your summer look. On our latest stroll through The Shops at Columbus Circle, we discovered that this season’s hottest frames are all about color, unique edgy shapes, and reinvented classics. Here are some of the top trends. Feeling a little blue? 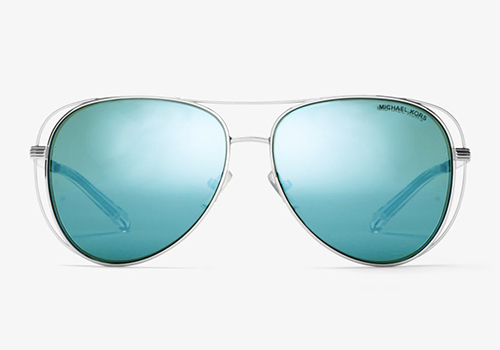 Step out into the sun in the metal-framed Lai Modern Aviators ($139) from Michael Kors. 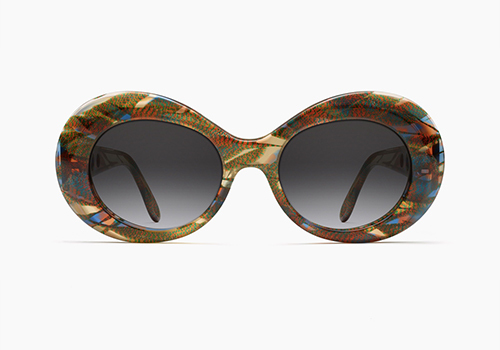 Peering through the blue lenses in this must-have style will definitely elevate your mood. 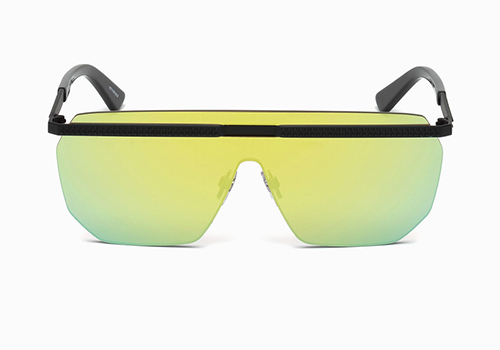 Speaking of color, gradient lenses are also hitting the scene. The military-inspired pilot sunglasses ($165) from Coach are right on trend — and work for guys or girls. 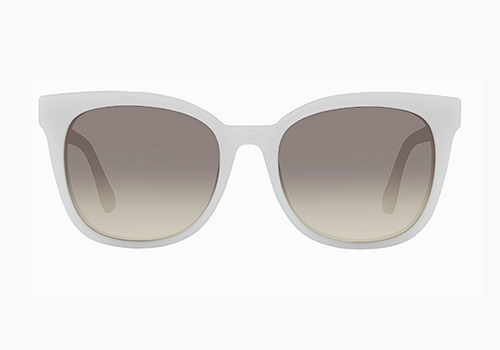 For the ultimate in white chic, the 0893 frames with gradient lenses ($210) from Hugo Boss are just what you need. The unique natural stone detail at the temples sets them apart. 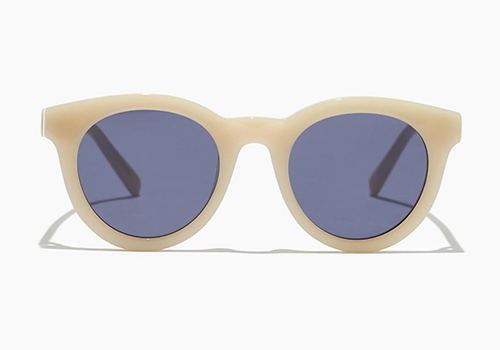 In milky pearl with mirrored lenses, the Madewell Halliday sunnies ($65) are sweetly flattering. Just add bright red lipstick, and you’ll be turning heads on the nearest boardwalk. Oversized? Check! Shield front? Check! Razor-sharp angles? Check! 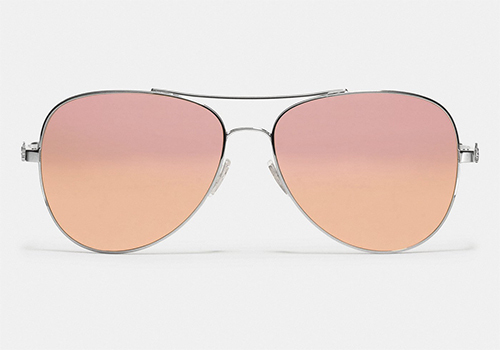 Christian Dior's Dior Addict 1 shades ($630) from Solstice Sunglasses hit all the season’s key trends in high style. 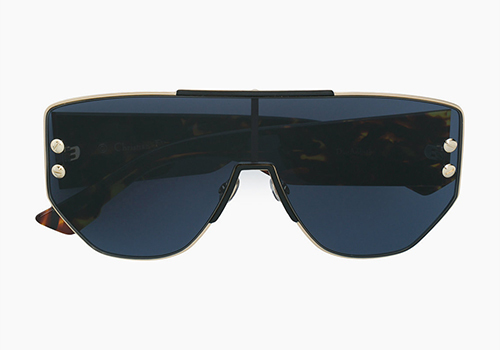 At Diesel, the wraparound DL0259 frame ($205) is a unisex look with large lenses and a rock-star vibe. Head to H&M to scoop up vibrant frames that will add a little fun to every outfit. 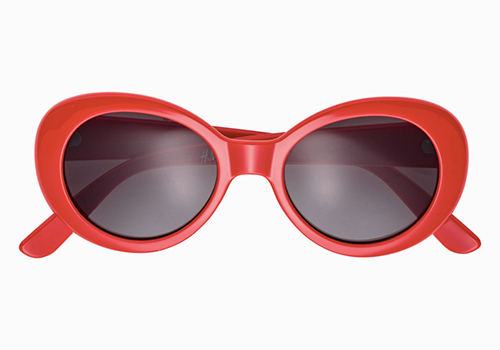 We plan to rock these oval red frames ($12.99) with our bikinis all summer. The Gert frames (price on request) from Morgenthal Frederics are part of the MF Classics series, handmade and based on heritage style. Cool shades never looked so hot.